Three days after the immediate past governor of Kano State, Senator Rabiu Kwankwanso reset permutations about the political proclivity of Kano State, the former governor’s most enduring sparring partner, Mallam Ibrahim Shekarau has resurfaced to challenge Kwankwanso’s political capacity. Speaking in an interview yesterday, Shekarau described Kwanwkanso as an absentee senator just as he again dismissed insinuations of bad blood between him and President Muhammadu Buhari. That bad blood has been insinuated since about 2010 when Buhari exited the former All Nigeria Peoples Party, ANPP to form the Congress for Progressive Change, CPC. 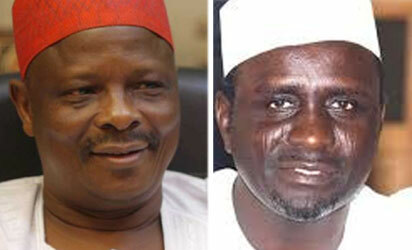 “Kwankwaso is an absentee Senator for three and half years. There is no record of him visiting Kano in his three years of being a Senator” Shekarau said. He said that he wished Kwankwaso contested for the Senate seat again so that they could again thrash out their rivalry. Explaining that there was nothing between himself and President Buhari as insinuated by the public, he said “I am not aware of any dispute with President Buhari. No one can quote any statement attributed to President Buhari saying he has problem with me and vice-versa.” He added that the relationship between them is cordial and they shall work together when he gets to the Senate. Also responding to questions on why in the past he left the APC for PDP when Kwankwaso joined the party and now he has moved to APC when Kwankwaso joined the PDP, he explained that it had nothing to do with Kwankwaso. Shekarau was one of the founders of the APC but left the party once Kwankwanso alongside the other seven PDP governors joined the party. He also condemned the activities of political thugs in the state accusing Kwankwaso of being responsible especially for the destruction of all APC banners and signboards identities in various parts of the state.